With our powerful cloud-based platform, you’ll experience the joy of what’s now possible. No longer burdened by hard to manage on-premise servers, you’ll always have the latest innovations in technology available to you with our frequent and automatic updates. 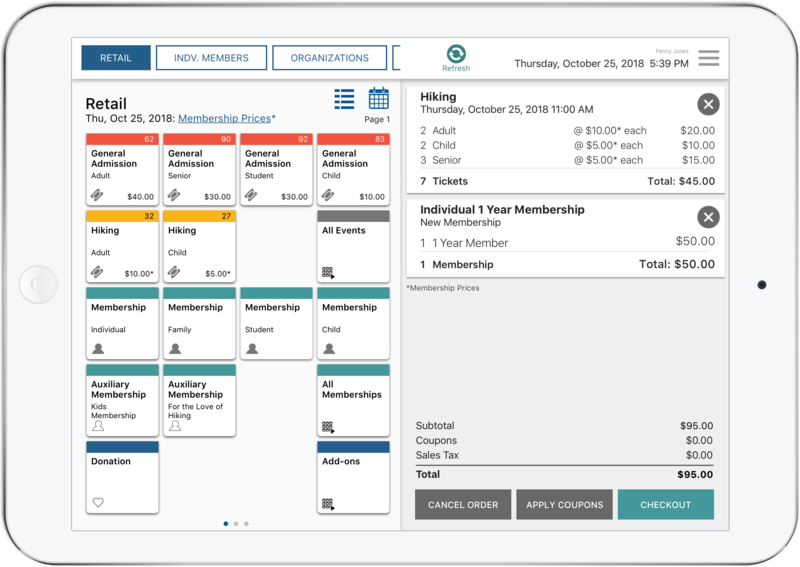 Our POS system lets you sell tickets and memberships in a flash. Sell a ticket in 3 taps or less, and even get out from behind a desk by taking your point of sale into the lobby to sell. Guests will appreciate the fast moving lines, and your employees will too. Our back office system lets you handle a wide array of controls. Set up events in a number of ways, from general admission to timed entry schedules, we can handle it. You can track resources such as people, rooms and equipment, and report on it all. Easy to use, and quick to get up and running. We offer a web and mobile optimized experience for buyers, which can be configured to look just like your venue’s site. Buyers will love the ability to easily renew their membership and purchase a ticket in the same order. Your back of house staff can sell and manage orders through our back office application. We also offer APIs for venues who want a completely custom experience. We have partnered with two of the best leading fundraising and customer relationship management systems on the market: Raiser’s Edge and Salesforce. Our import and export tool allows you to connect our platform to a 3rd party CRM of your choice. The benefit of this integration is that it keeps your systems in sync and ensures each record has the most up-to-date information, allowing your staff to better manage customer relationships. Raiser’s Edge integration powered by our file-based import and export tool with data mapping customized for Raiser’s Edge. Real-time integrations with Sky APIs once ready from Blackbaud. 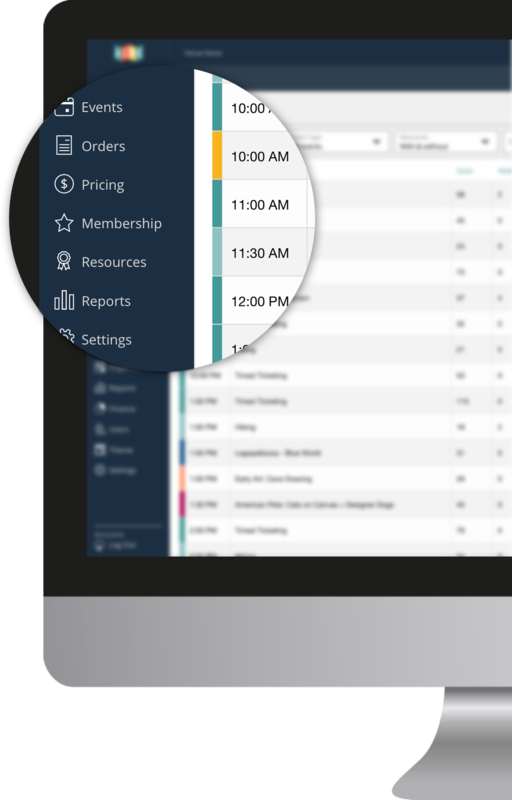 Salesforce real-time data sync, allowing you instant access to your member and customer information. We are here for you! You will be paired with a dedicated Client Services Manager to onboard, maximize platform capabilities and ensure optimal partnership success. Our Product Support team is also available 7 days a week. All brought to you by ACME’s cloud-based technology!